if you are looking for something to read this year (or ever), i recommend the book that changed my life. it's the greatest love story of all time and you might already have a copy of it laying around somewhere. it might be dusty. maybe you open it every once in a while. or maybe you are already reading it, again. maybe it's already your favorite book. if you've read it, it's most likely changed your life, too. i'm talking about the Bible. this version of it, specifically, will encourage your heart, specifically. 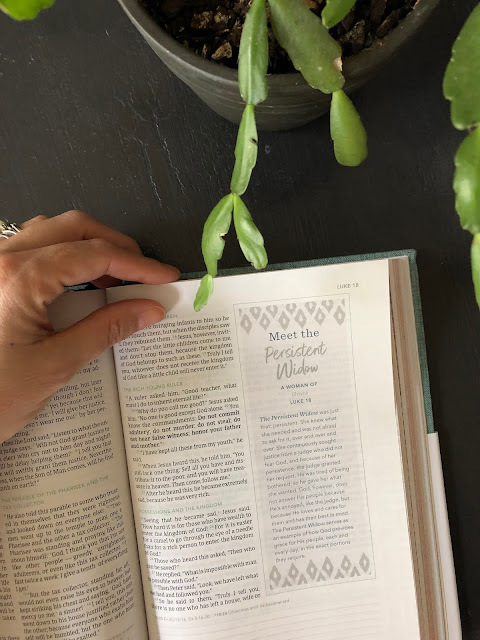 as you study God’s Word, you also read how God’s story has changed the lives of women just like you. because of His grace, they have found beauty in the brokenness and hope in the hard. and you can, too. God's Word has the power to change your life in ways nothing else can. eternity is in the balance. your story is in these pages. my story is in these pages. this is the greatest Love story of all time, and it will bring you life, joy, peace, light, revelation, direction, love, and wisdom greater than you can imagine. 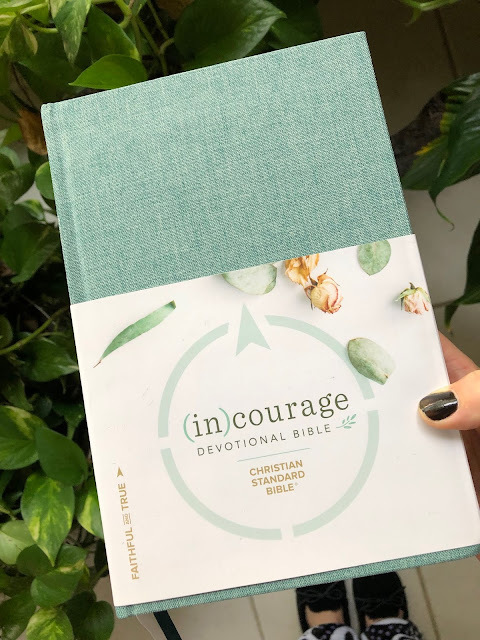 throughout this beautifully bound (in)courage Bible, there are profiles of women of courage, explaining how God showed his love in each women's life. let these women of courage challenge you to live a courageous life with Christ! there are also 52 devotions inside, written by someone who has walked through stuff and made it through with God. from adoption to cancer to missions work to homemaking and more - life is messy. but God’s love is always in the midst of it. 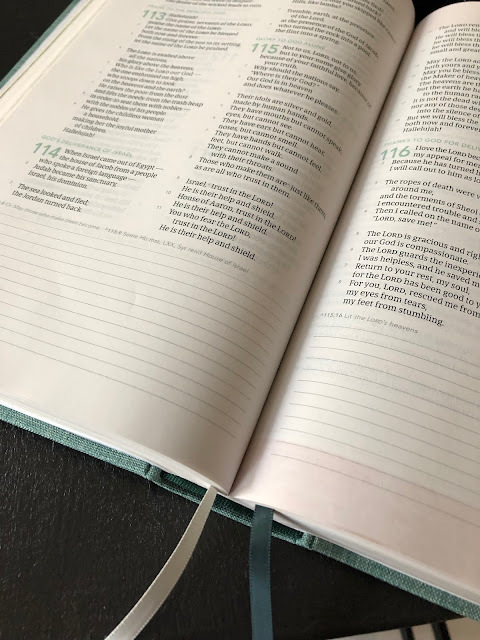 if you like reading plans, there are several included in this Bible that range from five to seven weeks, with each day of the plan containing Scripture and a devotional reading. there is so much in this book. dive deeper. open your heart to the transformational love of God. there is space for journaling and reflection to record what you hear from the Lord. write in it. mark down God's promises. circle names and places and words. it's yours. use these pages and your time in the Word to sharpen your spirit and grow an intimate, personal relationship with the Author. nothing needed to be added to God's Word. but it sure is encouraging to read women's stories of how His promises were true in their lives. as you read the greatest Love story of all time, see yourself in the stories and rest assured God's promises are true in your life, too. get your copy of the CSB (in)courage Bible here: http://incouragebible.com/#bible, and be blessed! God is good!